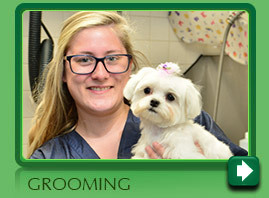 A regular oral care regiment is vital to your dog’s and cat’s continued good health. It is just as important to prevent the build-up of plaque and tartar on your dog or cat’s teeth as it is for your own teeth. We are all aware that bacteria forms on teeth. If not removed it will become calcified with the minerals contained in saliva to result in tartar. It will progressively accumulate under the gum line leading to periodontal disease and premature tooth loss. Once the plaque gets under the gum, it starts causing inflammation (“gingivitis”). If this inflammation is not controlled, the bacteria within the gingiva change to a more virulent type. These more virulent species create more severe inflammation that leads to irreversible periodontitis. 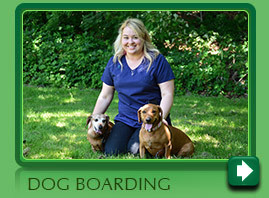 Norwalk Animal Hospital recommends a dental care routine of annual professional cleanings and regular at home treatment. To administer complete ultrasonic cleanings, it is necessary that your pet be briefly and safely put under general anesthesia. We practice a safe, multi-modal approach that is individually created for each dog or cat and includes injectables for sedation and pain management as well as gas anesthetic agents. 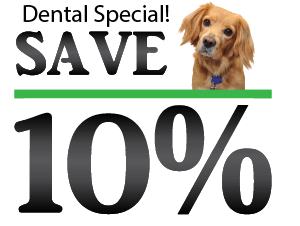 Complete any recommended dental care within 30 days of the recommendation and you will receive 10% off the dental services received.